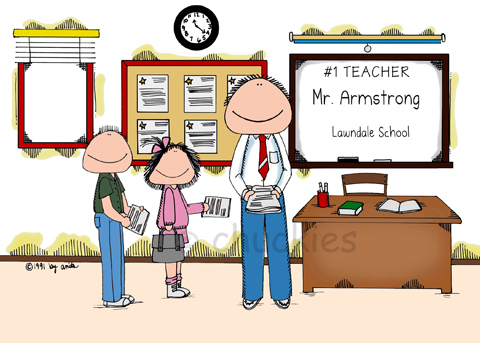 The 10″x 8″ mounted picture is available with a wide range of mount colours and makes a wonderful end of term gift. 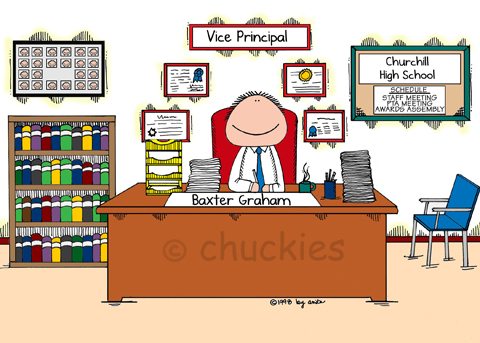 This picture makes a unique and thoughful gift for any Head or teacher. Choose from a wide range of mount colours. 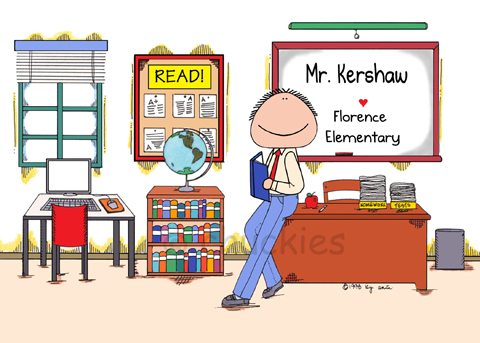 This personalised cartoon makes a great Christmas or end of term gift for a teacher. 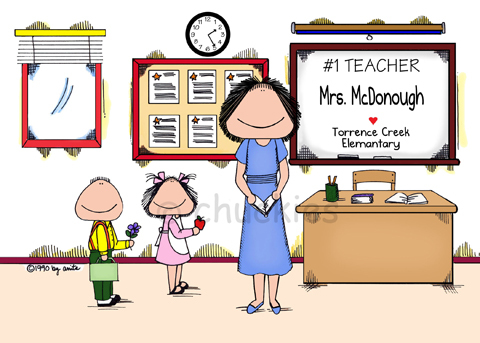 You can choose to have the teachers name entered under #1 Teacher, your child’s name on the chalkboard and the name of the school entered on the desk. Available unframed, framed or as a mousemat. 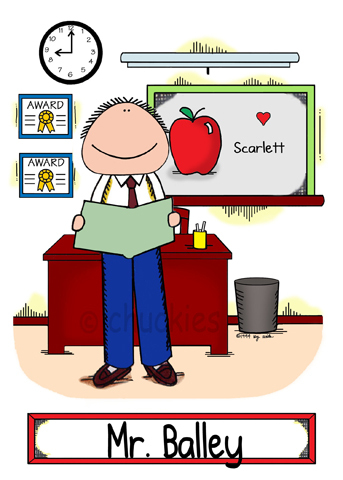 This personalised cartoon is an ideal Christmas or end of school year present. The 10″x 8″ mounted pictures is available framed, unframed or as a mousemat. Choose from a wide range of mount colours. If a darker skin tone is required please include this in the personalisation box. 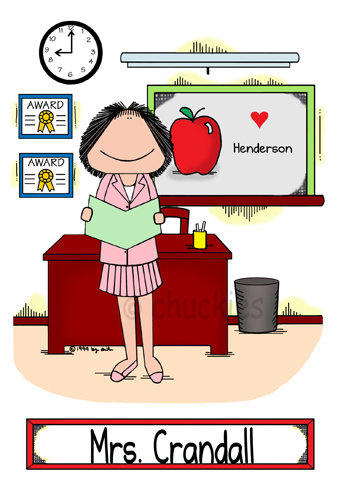 This personalised cartoon makes a great Christmas or end of term gift for a pre-school or day care lady. The 10″x 8″ mounted pictures is available with a range of mount colours. This personalised cartoon is an ideal Christmas or end of school year present. 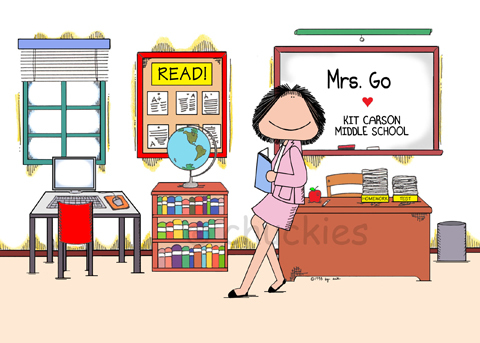 The 10″x 8″ mounted pictures is available framed, unframed or as a mousemat. Choose from a wide range of mount colours.